I’m re-posting here a shortened version of my original book review of Rediscover Jesus: An Invitation because I think it is a wonderful way to begin deepening our relationship with Christ as we begin to discern more deeply. Rediscover Jesus: An Invitation is truly an appealing invite to readers to encounter Jesus deeply. This book answers an urgent need that I have found in Catholics all over North America: people of good will, rooted and raised in the Catholic Faith, who are Catholic mostly just for Sunday Mass and special occasions, who desperately need a personal relationship with Jesus. As a vocation director, I have often been concerned for young people who begin discerning their vocations without having a personal relationship with Jesus–indeed, without knowing that they needed one. They wanted to do God’s will, but how could they hear God’s call if they didn’t know how to have a conversation with Jesus? Helping young people develop a personal relationship with Christ became the starting-point of my work in nurturing vocations. Conversational style and short, easily digestible portions. Broken down into 40 short chapters, this book covers the basics of what it means to live a Christian life–one nugget at a time. For the most part, this book was simply a joy to read. Four concrete interactive invitations at the end of every chapter, each of which appeal to a different part of our personhood. To Ponder engages the mind, Verse to Live (taken from the Gospels) can engage almost any part of us, depending on how we read it; Question to Consider engages our memories and life experience, and Prayer engages our hearts. Almost every reader will find at least one of those four points striking. These interactive invites allow us as readers to reflect on the message of the chapter in a way that is deeply personal. Relational approach–not just because of the conversational style, but because of how Matthew Kelly is definitely trying to encourage us to develop our own personal relationship with Jesus–the one relationship that we all thirst for, whether we know it or not. The topics of the chapters rotate, but I found three main themes running through the book. The first nine or so chapters seem to focus more on who God is and who Jesus is–especially as we can come to know him through the Gospels and through prayer. These first chapters are shorter, extremely inviting and appealing, and motivating. 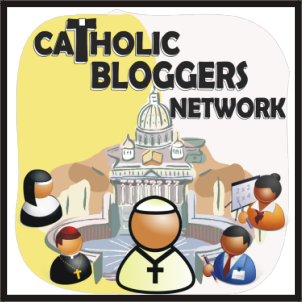 They’re great not just for people who need a personal relationship with Jesus, but also for those who seek to deepen their relationship with Christ. I’ve bookmarked several points to pray with later. My favorite chapters of the book were these first chapters and the last few chapters because they focus so well on the personal. What does Jesus truly want for us? How does Jesus think of us? How do we think of Jesus? How can we give Jesus our all? Chapters 11 through 20 (or so) seem to focus on the heart of Jesus’ Gospel teaching, especially how we are called as followers of Christ to imitate him. From the middle of the book to the end, the chapters primarily focus on transformation: how Christ wants to and will transform our lives if we allow him–so that we can be truly, deeply happy, so that we can be our best selves. In a particular way, the last ten or so chapters discuss holiness–in a way that is accessible to everyone. 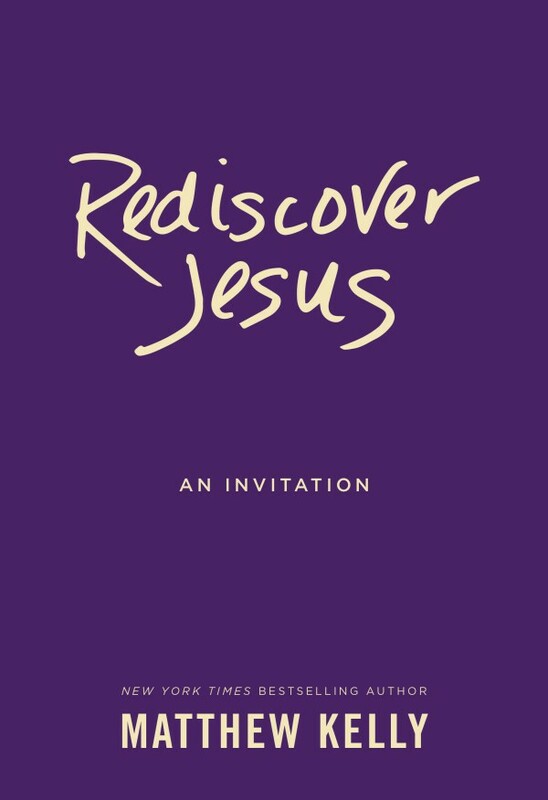 What I enjoyed most about Rediscover Jesus: An Invitation is its circular communication inviting the reader in: from Matthew Kelly to reader to Christ (whom we assume inspired Matthew Kelly to write this invitation in the first place). It’s not one-way communication from author to reader but circular, Trinitarian. Rediscover Jesus has the potential to be life-giving, life-changing. Although I read the book in just three short sittings, I would recommend instead reading a chapter a day. This will give the reader the opportunity to take time with each chapter’s invitation, and facilitate a 40-day journey for the reader to either begin or actively grow in one’s relationship with Jesus. Who would especially benefit from this book? Teens or young adults starting to make their faith their own. This doesn’t look like a book for those receiving Confirmation, but it would be awesome if every confirmandee read it! Anyone with a personal relationship with Christ will enjoy deepening that relationship with some of the creative, refreshing and contemporary “takes” that can enrich our prayer. ← The World Needs You!